Is there a better way to show that your brand is a favorite all across American than taking it on a road trip? 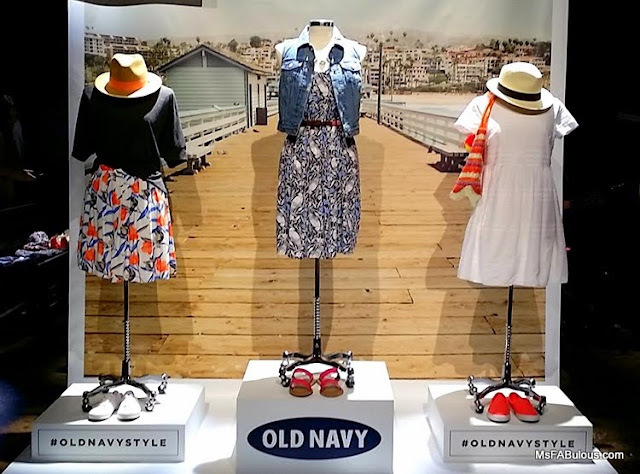 That was the theme of Old Navy’s Spring 2015 event last night. The spring collections were grouped into destinations by climate with travel-friendly ensembles. Food stands were set up along the path like a roadside snack stop, serving up spiked lemonade, pies, gourmet burgers and hot dogs along with rum drizzled milkshakes. You could snap a photo in front of iconic American landscapes and a team was on hand to dish out road trip itineraries. The first delivery had primary, nautical colors like red, yellow, khaki, navy and white. As “spring” is still pretty chilly when it hits the stores, there were cotton peacoats and boots. For the second delivery, the color palette was denim-focused. The collection had a lot of blue shades with printed florals and stripes. It was a dressed up denim, with dresses and statement necklaces to upgrade the look. Things warmed up in the third delivery. Brighter colors like coral popped into tropical florals and t-shirt dresses. 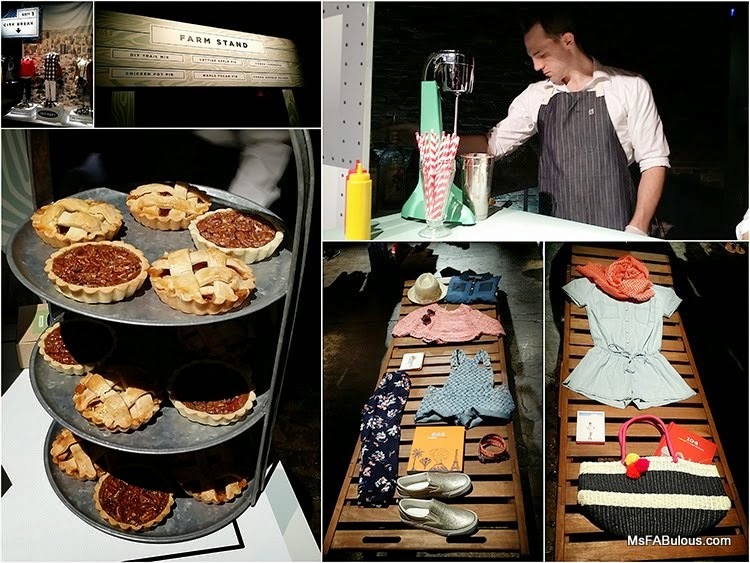 Sandals and sneakers were paired with fun, light rompers. It was a treat to make my own trail mix, I think I have to try that at my next brunch. I remember doing a lot of road trips as a child. They were never this stylish or this tasty. My family might have actually made it to Disney World if they had!